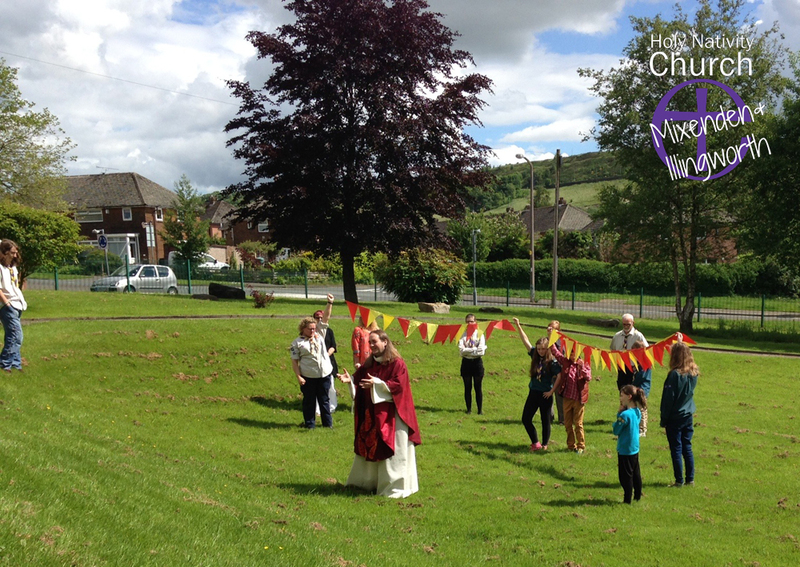 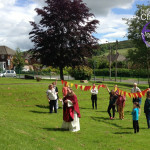 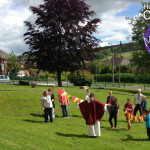 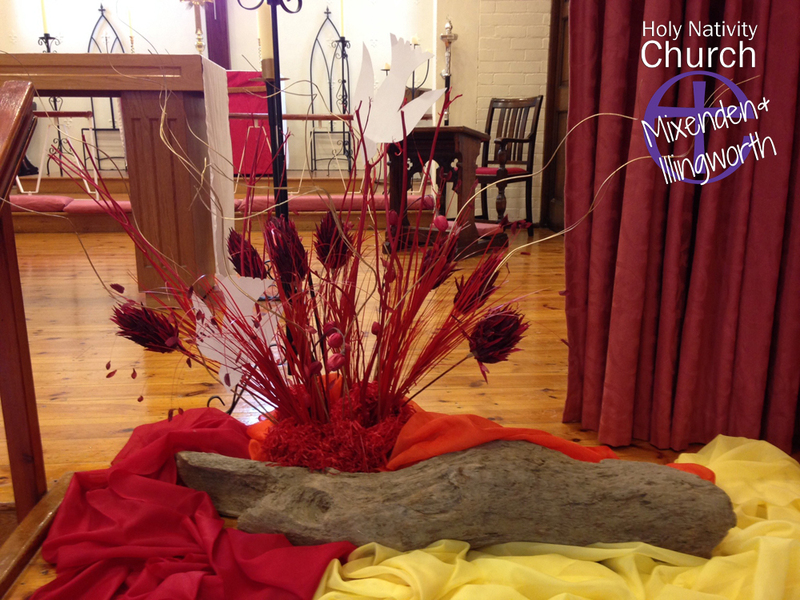 A morning of fun and excitement was had at Holy Nativity on Sunday 6th of June as the community came together to celebrate the feast of Pentecost. 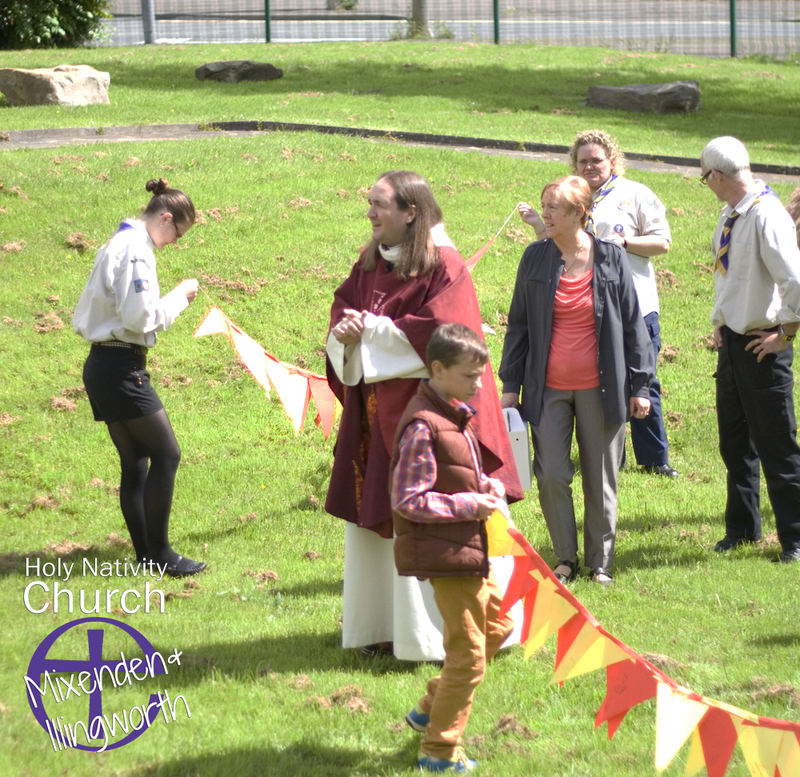 A fantastic morning was shared with friends from 30th Holy Nativity Scout Troup as fun songs were sung and prayers were offered together. 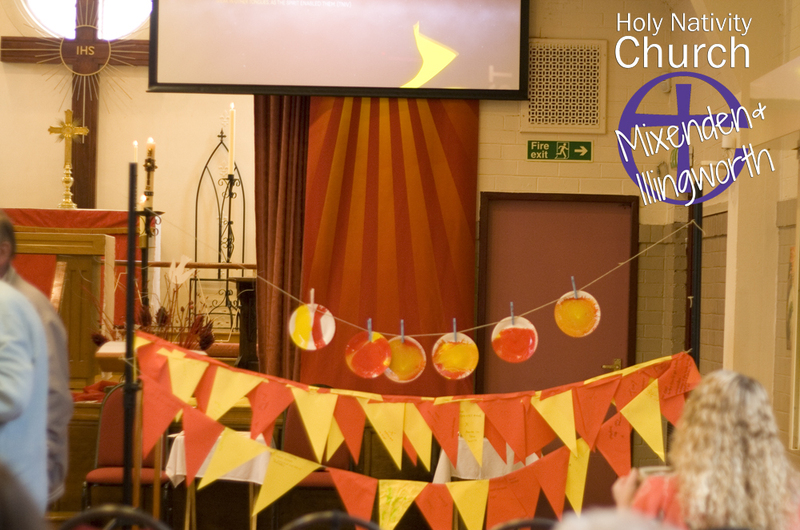 We began by flinging red and yellow poster paint around to make salad spinner flame prayers on paper plates. 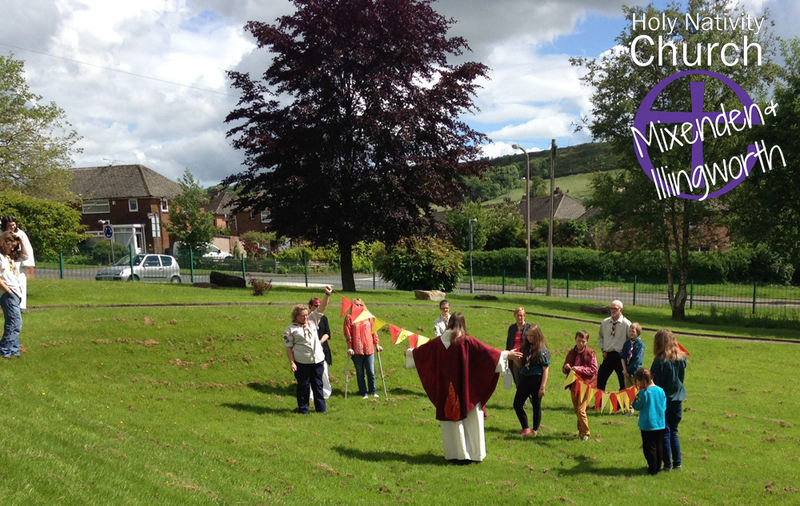 We also made prayer flags to offer the people we loved and the world in which we live before God. 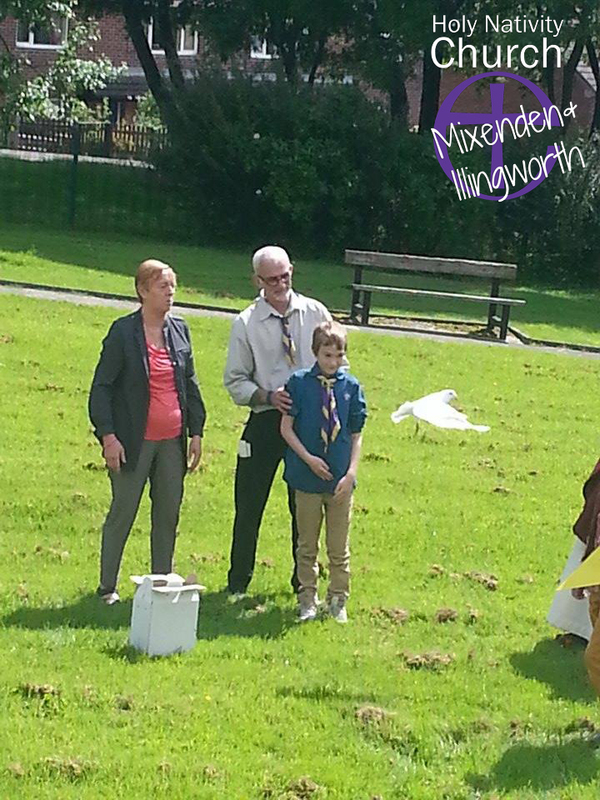 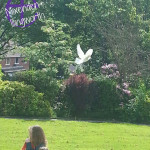 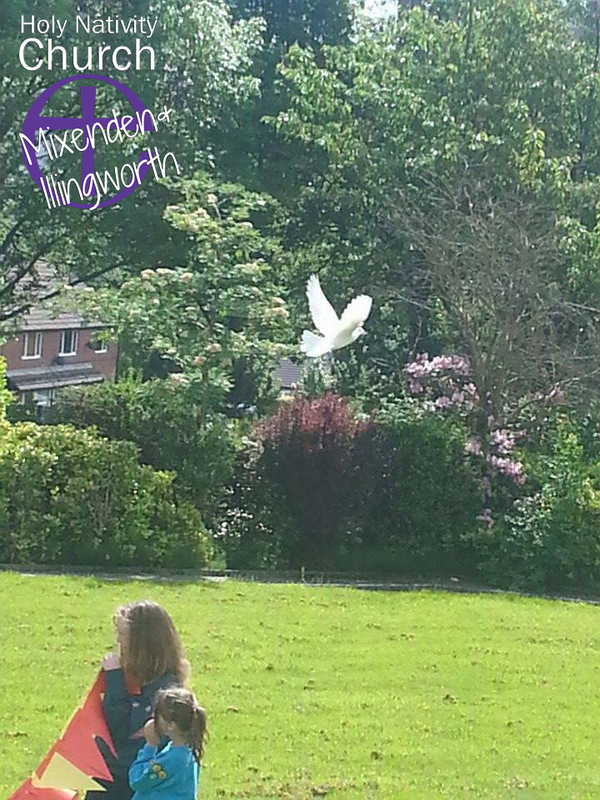 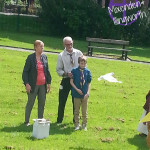 We then took these into the breeze of the church park where the scouts released a dove as a symbol of the Holy Spirit with us and God hearing our prayers. 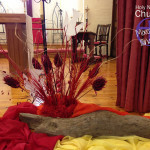 Pentecost is the day that The Church celebrates its birth nearly two thousand years ago as the Holy Spirit filled the remnant of Jesus’ followers. 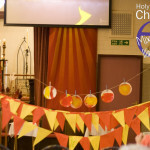 Everyone who wished to was anointed during the service with holy oil as we prayed for the Holy Spirit to fill our lives. 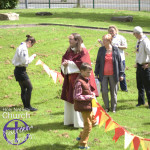 We also gathered around the table to share communion as we celebrated as part of the ancient traditions of The Church.